Accounting software enhances business strategy by putting the big picture of your profitability at your fingertips. You started your business because you are passionate about delivering exceptional products and services to your customers. You do not want to spend countless hours away from your passion crunching numbers and calculating figures. If you want to keep accounting costs low, but need to keep numbers organized to monitor sustainability, leverage effective accounting software that enables you to do both. 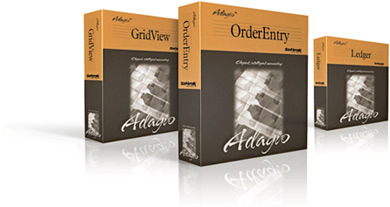 Leverage Adagio accounting software to take advantage of more growth opportunities, as well as to be able to foresee downfalls and thereby limit risks. Perform cost comparisons with ease to evaluate whether or not your business is functioning optimally. Nurture client relationships more effectively by streamlining processes and eliminating errors. Run a more strategic business. Keep accurate records of the past and present, so that, moving forward, you are positioned for success. Contact John W. Hancock & Associates to learn how our innovative accounting software can streamline processes, create smarter reports, and make your business more sustainable.